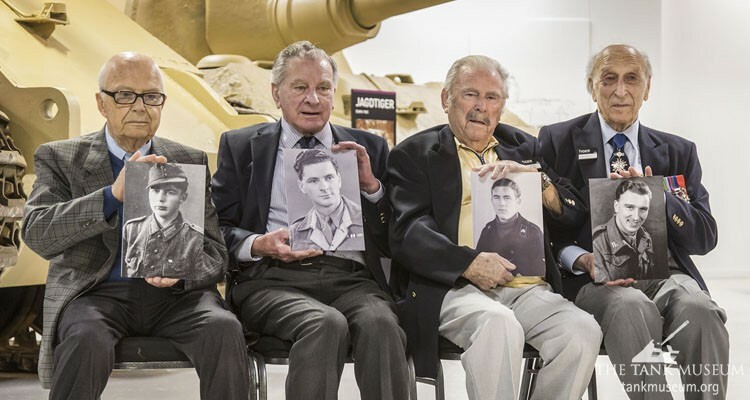 Two surviving German Tiger Tank veterans met their British counterparts at the opening of the new Tiger Collection exhibition at The Tank Museum. There were emotional scenes as the veterans – all in their nineties – met each other more than 70 years after the end of the Second World War. They shared memories about serving their countries in tanks and discussed their experiences. The veterans shook hands and embraced as they looked at the collection of Tiger tanks, which were a German invention that struck fear into the allies – and their reputation has endured. The Tiger Tank Collection exhibition, supported by World of Tanks, includes the Museum’s own Tiger 1, its two King Tigers, and its Jagdtiger, along with the Elefant, which is back in Europe for the first time since 1945. Never have these tanks been together at the same time before – not even during the Second World War. The two Germans Veterans whose stories are told, Wilhelm Fischer and Waldemar Pliska, met British veterans Ken Tout and Ernest Slarks. Waldemar said: “I was grateful for the invitation and looked forward to meeting the other veterans. (L-R) Waldemar Pliska, Ernest Slarks, Wilhelm Fischer and Dr. Ken Tout. Ernest said: “It is a strange feeling really, meeting each other – but also amazing. Time heals, of course, but we must never forget. 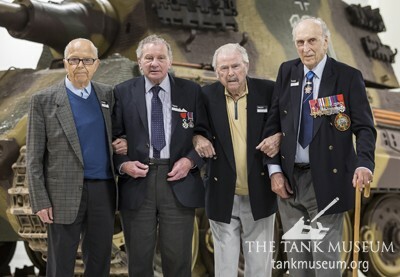 David Willey, Curator of The Tank Museum, said: “Seeing the Tiger veterans and the British veterans meet was quite a moment. “From speaking to them it’s clear that they shared so many experiences and they were very much looking forward to meeting. “To bring them together at the exhibition with these legendary Tiger Tanks was a wonderful way to bring attention to the stories of the tanks and the men who fought in them. The Tiger Collection Exhibition will be open for two years, 2017 – 2019.